leave us a message here and let us know. Your the answer to everything. So There I Go Again. Your the answer to everything, this should have been released as a single, big mistake, it would have seured Kathy at the top of the tree. Reach out for me, the best version I have ever heard. Little green apples should have been an A side. Closer, is another one that should have been released as a single. An ardent fan since 62. Buddy Can You Spare a Dime. Just read your comments re the list of songs recorded by Kathy gathering dust in the Decca vaults. Truly unbelievable that Decca have never released these songs. 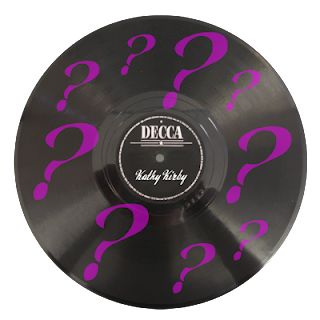 What would it take to get Decca to release these songs, can Kathy's fans raise a petition, would this be of any help ? It would be fantastic to hear these never before released songs sung by Kathy. I remember Kathy singing PEOPLE on one of her BBC shows, her interpretation was show stopping, I wondered why she never recorded this song. Also wondered if it would be possible to add Kathy's song "In All the World! to the playlist, It was such a happy song. Many thanks and keep up the good work. I still cannot believe that Decca Recrds are still sitting on unreleased songs recorded by Kathy. Do they not realise that the masses of Kirby fans would give their right arm to buy a CD of unreleased songs, I hope they are intending to include these on the much awaited CD/DVD, please Deccca listen to the fans. I cannot recal any other singer who had(has) the versatility of Kathy, she could sing anything, pop, classics, big band, musicals, C&W , you name it, she could sing it with ease. sadly since Kathy stopped singing the UK lost their most versatile and entertaining performers ever. Whilst her fans respect Kathy's wish not to return to the recordind studio the least Decca can do is to release these songs. P.S. Come on Columbia Records, I am sure you have some unreleased songs gathering dust also. Hello Annon! Sorry I don't have your Christain name to respond to. These must be the best!!!! On the subject of Kathy's unreleased recordings what criteria does the record company have for not releasing them on CD? I WISH YOU LOVE - Kathy! Following in my father's footsteps. This is Valentins - Day and so lovely Day ! I´m far but I´ve a bouquet of beautiful Thanks! and good Wishes for today and springtide. as many again is for me Valentins day. Thanks a million! for so much pleasure. also a lovely Valentins - Day for you. Please say hello for me - love and success! (3): Here, There and Everywhere. What a fab job James has done for this site. I am so looking forward to the DVD and a new CD. I also hope for a 'live' CD sometime. Secret love. I belong. Your the one. What a simply lovely sound she has - my favourites are Let Me Go Lover, Secret Love & my very very very most favourite is DANCE ON! Wish I could go back (I was born in 1957) & be a teenager in the sixties...I admit my music tastes are stuck in the sixties. Just a beautiful voice - if only we could all go on forever. Kathy has earnt a special place in my heart, my head & always in my home. Purely delightful. I`ve only just discovered Kathy Kirby and she is the greatest female vocalist I have ever heard. I could go on forever, there are so many..